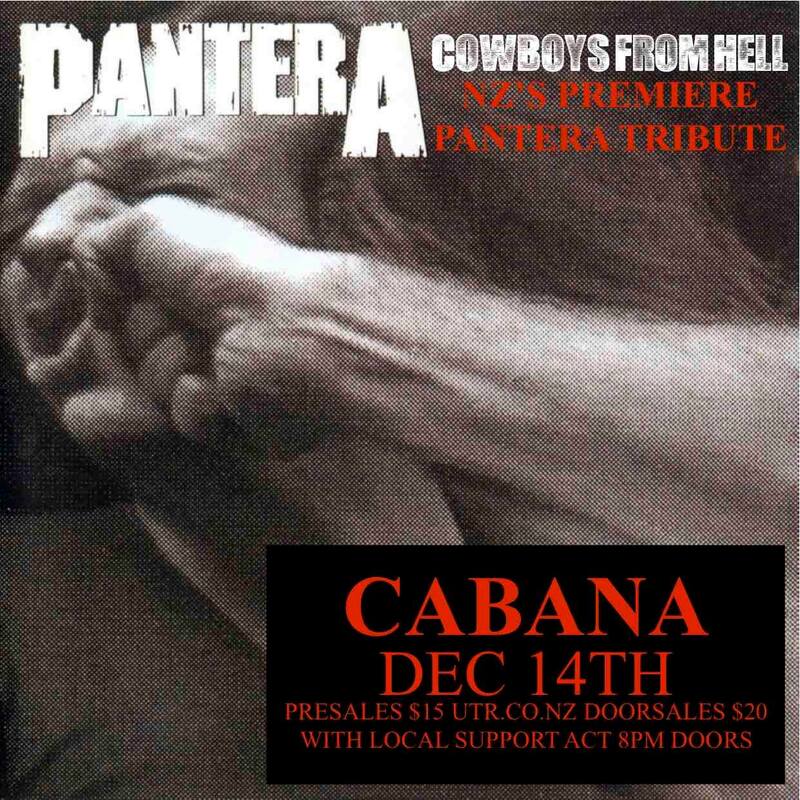 NZ’s best Pantera Tribute act "Cowboys From Hell" bring their highly polished show to Napier's famous Cabana bar. Featuring all the greatest hits from Cemetery Gates to Walk, these guys deliver all the technical wizardry & raw power of the original kings of groove metal. With local support act.